Italian manufacturers and artisans present you with products made by that “fine Italian hand”. Laura Biagiotti, known for her Italian cashmere collection, has said that “Italian fashion is meant to add the extraordinary to everyday life”. Italian style combines superior design, quality and sensibility. Vases and amphora filled with Italian Olive Oil were being transported to Europe since ancient times and have been an integral part of the “Mediterranean Diet“. According to recent articles published in the Annals of Internal Medicine and the Journal of Nutrition, the antioxidant and ant-inflammatory properties of olive oil make it an important part of a heart healthy diet reducing your risk of cardiovascular disease, diabetes and colon cancer. Italians take time to cultivate a sense of well being. They are committed to looking good and feeling well. Now in a country of pasta and gelato you might think this contradictory but Italians are masters of moderation, balance and beauty. Italians eat smaller amounts in courses, taking time to enjoy each part of the meal. Italian cooking relies on fresh, local ingredients regionally grown. Italy’s wines are at their best when paired with food and are consistently ranked among the best in the world. The Italian style of drinking coffee has taken a mundane habit and elevated it to an art form introducing millions of Americans to the pleasures of espresso and wi-fi. Italy and its traditions, food and culture reflect the beauty and sweetness of life. If you think that Leonardo only had his mind on engineering, anatomy, perfecting the art of light and color and Mona Lisa’s smile you would be wrong. The archetypal Renaissance man, known for his painting, sculpture, architecture and inventive genuis was also in charge of orchestrating ducal banquets for Ludovico Sforza, Duke of Milan. Although I wouldn’t equate his interest in event planning to that of Colin Cowie (Cowie orchestrated Oprah’s famous Farewell Party at Chicago’s Four Seasons Hotel) Leonardo did enjoy the diversion of party planning designing dramatic installations for the Milanese court. Leonardo once used fireworks to create a great lion that was designed to walk a few steps, roar and then burst its chest in a display of flowers and birds. 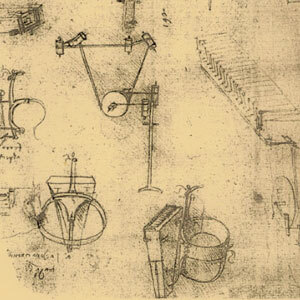 As Master of Revels, Leonardo was responsible for the production and supervision of elaborate court entertainments, often serving as a theatrical designer, creator of stage sets and mechanical musical instruments. In January of 1490 Leonardo arranged a dramatic production of Il Paradiso, for of the Duchess of Milan. He designed the sets and costumes, including a sound and light show devised with “the great genius and skill of Maestro Leonardo Vinci the Florentine, a Paradise with all the seven planets orbiting round”. *chiaroscuro, a style of shading introduced by Leonardo da Vinci using light and dark paints to define three-dimensional shapes and expand the range of luminance, creating a greater sense of depth. Panettone is a traditional Italian sweet bread that could just change the way you feel about fruitcake. Well it’s not actually a fruitcake, far from it. It’s light and airy with the incensual aroma of a Milanese pasticerria. In fact Milano is the birthplace of panettone. Commonly held legends as to its origin vary but one favorite story tells of a 15th century Christmas banquet given by Ludovico Sforza, Duke of Milan. There was no dessert until a young kitchen helper named Toni baked up sweet fruit-studded bread, thereby saving the meal and endowing the bread with its given name, panettone (bread of Toni). Descriptive and poetic yes but the realty may be less dramatic. Food historians credit the naming of this cake-like bread to the Italian word panetto meaning a small loaf of bread. Because the bread when baked increases in size to a cylindrical 12-15cm domed-shaped loaf the Italian suffix –one (pronounced o-neh), which implies something bigger, was added changing the name to panettone. The popularity of Italian panettone has caused it to be duplicated and re-created many times over, surfacing in the most unlikely places; gas stations, Walgreens and big box stores. Don’t confuse panettone tradizionale with the mass marketed panettone found in big box discount stores in the States. It is about as far removed in taste and quality as mortadella is from b-o-l-o-g-n-a. 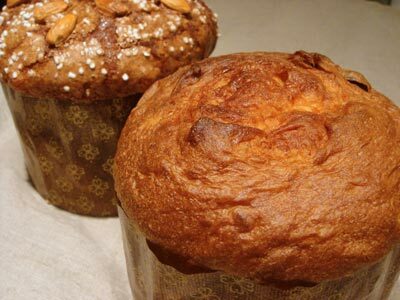 A true Italian panettone should be fresh and flavorful, soft and airy. The shelf life for an unopened panettone is typically 2 months. 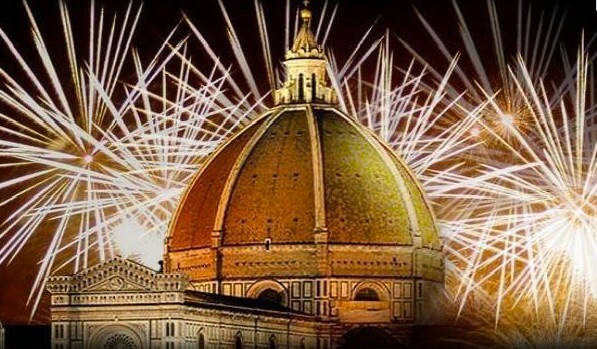 Traditionally in Italy a small amount of panettone is saved after the holiday to be eaten on February 3rd, the Feast of San Biagio. Legend has it that just before Christmas a woman went to have her panettone blessed by the village priest who could not bless the bread at the time. Leaving the bread, the priest thought that the woman had forgotten about it and so he ate it himself. However she returned, on the feast of San Biagio. The saint had interceded and the relieved priest, to his great surprise. found a whole panettone twice the size of the one left by the woman. Since San Biago is the saint protector of the throat, it is believed that eating panettone on the saint’s feast day will protect you from the illnesses of winter. I never seem to have the willpower to save my panettone but this year I plan on buying 2, one to eat and one to use in place of the flu shot I never got. I remember the days of big lights, tinsel and rockin’ around the Christmas tree. Christmas in the late 1950’s was all about extravagance. If you had a real Christmas tree, it was bearing the weight of the ages with multi-colored ginormous lights and gaudy ornaments. In the ‘60’s if you were “very modern” you had an aluminum tree with a rotating electric color wheel which reminded me of a psychedelic light show. But the lights of Christmas would never be the same when the technology of miniaturization transformed the bright bulbous lights of Christmas past into the twinkling dazzling glow of the lights of Christmas present. Imported from Italy, miniature light sets also known as Italian lights or fairy lights, were brought to the States by George Silvestri who began using them in his display business (his famous Italian light displays were first seen on Chicago’s Michigan Avenue). Now Yuletide decorators and Christmas light junkies could replace the 80 or so bulbs typically found on their grandmother’s Christmas tree with hundreds of tiny electric lights to create a winter wonderland transformed by a firefly glow. Today department stores, cityscapes and neighborhoods across the world employ hundreds of thousands of miniature lights to create displays of luminous luxury with an Italian twinkle. Over the years my travels in Italy have taken on a deeper meaning, well beyond the casual tourist, beyond the taste traveler, beyond the travel writer. My road trips are often off the tourist radar and off the beaten track. I’ve seen the usual monuments, works of art and ancient ruins but from a different view. My Italian family and friends have become my personal docents, teaching me to travel like an Italian to discover an Italy way beyond a show and tell tour, often to a time and place I least expected. Yes I did say time. No I haven’t discovered the secret behind H.G. Well’s time machine, paradoxes or traversable wormholes. The evocative landscape of Italy has the potential to take you to another time if not literally than figuratively with places and people who lived in the history of its land. I have felt this way in Ravenna, in Ferrara and Florence, in Siena, Venice and certainly in Rome but nowhere more than in Assisi where the footsteps of saints, sinners, pilgrims and kings echo through time. Assisi is a hill town in Umbria and together with the monastery at La Verna, in the Casentinesi Forest of northeastern Tuscany, is a spiritual center for the followers of Saint Francis. Francis believed that the ethereal message of Christmas needed a tangible expression. He wanted the Feast of the Nativity to be more than a story from the past. He wanted to remind people of the real reason we celebrate Christmas. 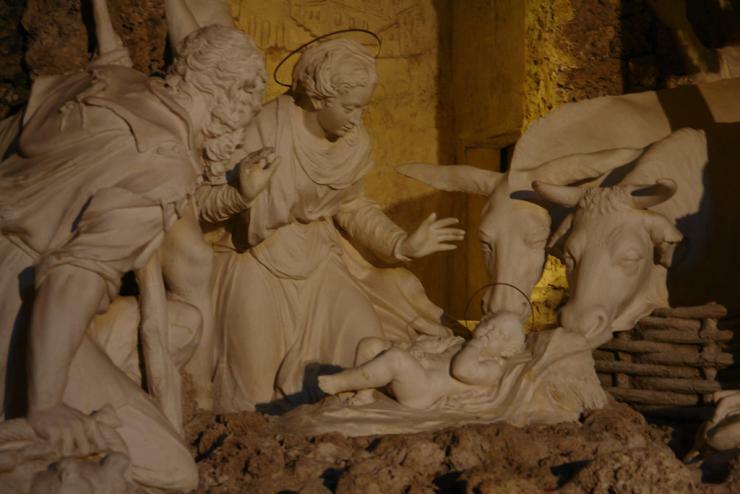 He decided to do something dramatic for the time and arrange a special celebration on Christmas Eve in the village of Greccio where he would create a living manger scene. Francis had real people portray the shepherds, Mary and Joseph. He brought a donkey, cows and sheep in from the fields near the village to complete the scene. In the manager was a life sized wax figure of the Infant Jesus. Over time the Nativity Scene or presepio, as it is called in Italy, spread throughout Western Europe and many people created nativity scenes in their towns, villages and homes to commemorate the birth of Christ and travel back in time to that night in Bethlehem to recreate Christmas. 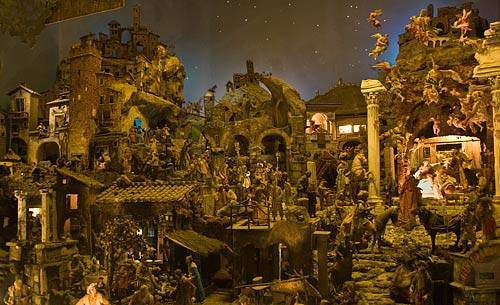 * Nearly every Italian town has a presepio, often with life-sized crèche figures. Some of the most famous are in Greccio, Naples, Verona and the Basilica of Saint Cosmas & Damian in Rome. Commissioned by Charles ll, it measures 45 by 20 feet and features hundreds of wooden figurines.